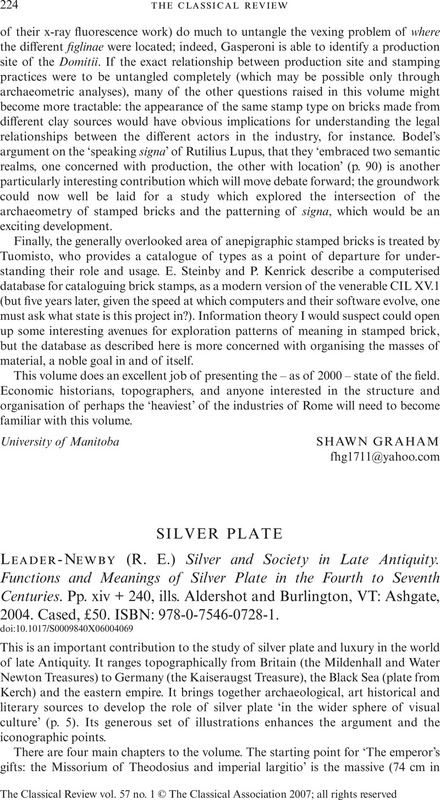 (R. E.) Leader-Newby Silver and Society in Late Antiquity. Functions and Meanings of Silver Plate in the Fourth to Seventh Centuries. Pp. xiv + 240, ills. Aldershot and Burlington, VT: Ashgate, 2004. Cased, £50. ISBN: 978-0-7546-0728-1.